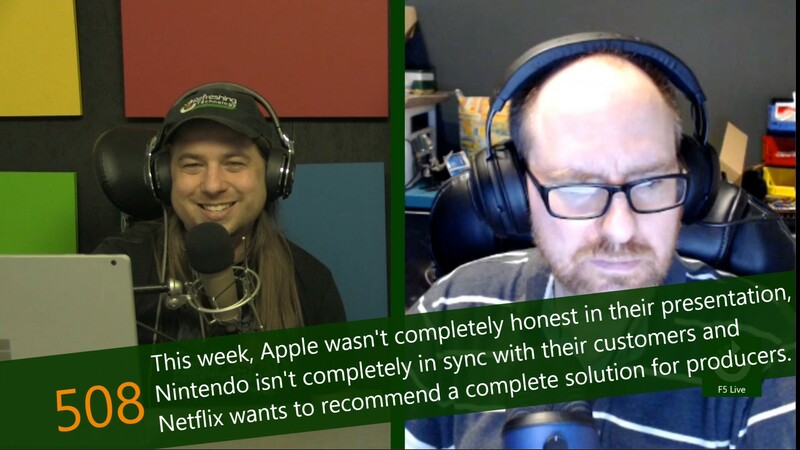 This week, Apple wasn't completely honest in their presentation, Nintendo isn't completely in sync with their customers and Netflix wants to recommend a complete solution for producers. This week was Apple's annual iPhone announcement event and the company did what it does best - talk about their products like there's never been anything like them in the history of man. Of course, everyone knows that it's simply hyperbole because almost all phones on the market are exactly like it - often times better than it. While hyperbole involves a small level of misinformation, or at the very least a rewriting of the scale of information, Apple took it to a new level this year. Last week, Nintendo scheduled their latest Nintendo Direct presentation. Unfortunately, there was an earthquake in Japan, delaying the event, and it was rescheduled for this week. During the presentation, little to no new information was presented about the imminent Nintendo Switch Online service, instead detailing the information we already know about the $20 per year subscription service. Following the presentation, however, Nintendo published some new information to their website, giving us a better look at some of the rules and regulations surrounding the service. Since the European Parliament began working on one of many conflicting regulations for online behavior, there has been nothing but negative comments. This particular package is designed to change the way copyrights are enforced in the EU, but the idea is poorly considered and creates an environment that makes doing business online within the European Union difficult for some and impossible for most. With all of the negative response to the regulations, it seemed nearly impossible that it would actually pass the European Parliament. There is no denying that Netflix is a top content producer. Between shows like Unbreakable Kimmy Schimdt and Stranger Things , they have established themselves as an absolute powerhouse. As they expand their catalog of Netflix exclusive content, they are looking for ways to ensure that all of the content that is created for the services maintains that high level of quality. One of the ways they hope to accomplish this is by certifying production equipment for quality.